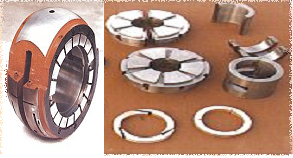 Often required by Defense / Railway / Space / Navy / Automobile / Agriculture & General Engineering Industries in form of Bushes , White Metal Bearings, Gears, Profiles, Rectangles, Rod, Round, Sections or according To Specific Drawings As per Customer?s requirement or Sample. By the superior methods of manufacturing Centrifugal Cast , Gravity Die Cast, Sand Cast, Shell Cast Etc.. assures our customers product free from any defects like Blowholes ,Pinholes Porosity, Cracks , Shrinkage, Leakage etc. We MCC(I)PL are glad to introduce ourselves as one of the Leading Manufacturer of Phosphorised Copper Balls & Nuggets are specified for both proprietary and non-proprietary acid copper sulfate baths and as approved by proprietary pyrophosphate process suppliers. Such usage has gained broad acceptance in decorative, rotogravure, printed circuitry Cladding, electrical ground rod, electroforming, and many other functional plating applications. At our end we produce the above said material by Continuous Casting Process in an Inert Atmosphere So we are sure about the quality as its all raw material is imported which is used in the process. 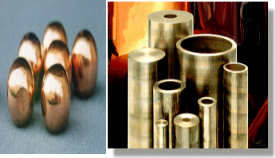 We are Specialized in Copper Ball recognized from International Standard Quality in field (IS,BS,ASTM,DIN etc..) as regards chemical analysis, Dimensional tolerance, Mechanical & Electrical Properties as well as Surface Quality. We also produce Rare Metals & Alloys as per Customers Requirements like Copper (Beryllium, Cadmium ,Chromium, Electrolytic, OFHC),Rods, Sections & Special Profiles. White Metal Bearings India a division of BB&CCI is a pioneering Indian company specializing in design and manufacture of all kinds of White Metal Lined Bimetal and Trimetal Bearings for use as original fitment, as well as spares in Gas, Steam and Hydro Turbines, Turbo-Equipment?s, Gear Boxes, Power Plants, Steel Mills, Cement Mills, Sugar Plants, Fertilizer Plants, Chemical Plants, Nuclear Power Stations, Marine Engines & Equipment?s, Textile Mills Journal and other sophisticated machines were antifriction & non-seizure properties require.